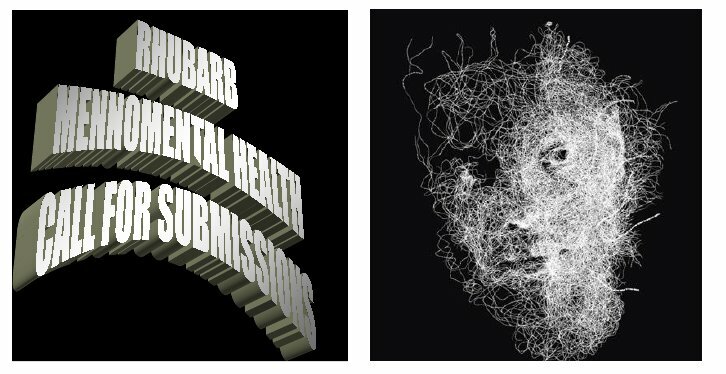 Rhubarb Magazine is publishing a special issue on Mental Illness/Mental Health in June 2011. The issue will be guest edited by Ted Dyck, the Editor of Transition Magazine published by the Saskatchewan Chapter of the Canadian Mental Health Association. Ted has published widely and served as the chief editor of the literary magazine GRAIN for three years. We are looking for visual art, fiction, poetry, nonfiction including memoir, by and about and persons with experience of mental health/illness issues. The deadline for submissions is January 30, 2011, sent directly to venns@mts.net. Only electronic submissions will be accepted, as attachments in Word for written material, Tiffs or Jpegs for visual images. All published contributors will be paid after the publication is released and will receive two complimentary issues. Rhubarb Magazine is a publication of the Mennonite Literary Society. Find us on the web at www.rhubarbmag.com.